At Dumela Holiday we treat all our guests like celebrities! So if you would like to experience what it’s like to be treated like a star, contact us today reservations@zestholidays.co.za | 039 317-3301 / Dumela@venturenet.co.za | 039 317-3302 South Africa is one of the famous nations in Africa that is known for its beauty and diverse culture. 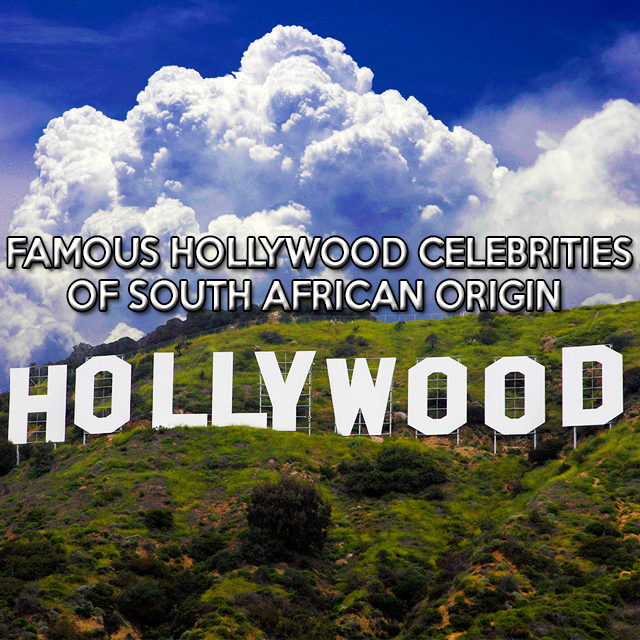 Being home to many celebrities, In the recent times, South Africa has proved to the rest of the world that it can carve a notable niche when it comes to movie and music stars. Sasha Pieterse Is a famous actress who started acting at the age of six. She has starred in different comedy series such as Family affair. Sasha was born in Johannesburg, South Africa but was raised in the United States. This is a clear indication that most of her fans do not know that the actress was born in Africa because she has spent most of her lifetime in Las Vegas. Dena Kaplan Is a renowned actress who has successfully built a remarkable career in the film industry. She became famous after featuring in Dance academy, a popular Australian television series. This TV series was featured in the Australian broadcasting corporation where Dena played the role of Abigail Armstrong. She was born in South Africa but spent most of her life in Australia after moving there in 1996. She also attended high school in Australia. Arnold Vosloo Arnold Is a great actor who has earned greatness by his own merit. He has established a remarkable reputation in the acting industry wining several awards. Arnold was born in South Africa and has made a huge contribution in the country’s state theatre. Arnold has won several awards in South Africa for his theater work, including “More Is ‘n Lang Dag”, “Don Juan” and “Torch Song Trilogy”. A regular performer with South Africa’s State Theatre, he also played leading roles in Savages. He is perhaps best known for playing Imhotep in The Mummy (1999) and its 2001 sequel The Mummy Returns, as well as the role of the superhero Darkman in the sequel Darkman II: The Return of Durant (1994) and its 1996 sequel, Darkman III: Die Darkman Die and more recently, a South African Mercenary named Colonel Coetzee (loosely based on Eeben Barlow) in the film Blood Diamond, a Middle Eastern terrorist named Habib Marwan in the television series 24, and Zartan in the film G.I. Joe: The Rise of Cobra, and its 2013 sequel, G.I. Joe: Retaliation. To date, the trend continues and Arnold is ranked as one of the best South African celebrities of all time.